van Wijngaarden, A. (1963). 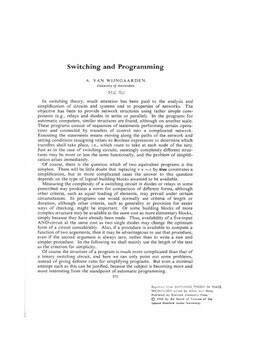 Switching and programming. In H Aiken & W F. Main (Eds. ), Switching theory in space technology : proceedings of a symposium held at Sunnyvale, 27.02-01.03.1962. Stanford U.P.